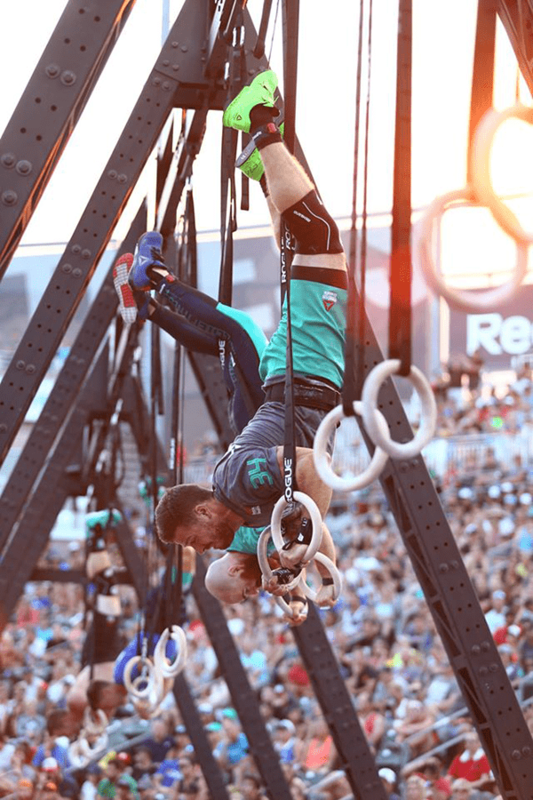 The Ring Handstand Push Up was first seen at the 2010 Games, but made a comeback earlier this year in the Carson sunshine at the 2016 CrossFit Games®. The crowds watched in awe as athletes such as Josh Bridges, Camille Leblanc-Bazinet and Annie Thorisdottir completed a tough workout that contained Ring Handstand Push Ups – aptly named the separator – in style. So now it’s your turn! Of all the gymnastic exercises, this is an advanced movement, but there is no reason why you can’t achieve it. CrossFit® is all about pushing your limits right? The Ring Handstand Push Up requires a good sense of balance, because you are performing the exercise on equipment that is moving and unstable. Your core will be required to work hard to keep you stable throughout the full range of motion. Good luck with all these gymnastic exercises and have fun!